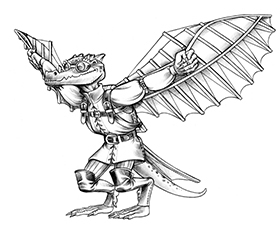 Kobold Quarterly issue #21 takes on the theme of Divine Majesty, with a host of articles to take your campaign into the higher realms, or lower depths. “The Shaman” introduces a new base class for Pathfinder RPG that gains powers and abilities by unlocking secrets about the natural and spirit worlds. “Daughters of Lilith” presents the ecology of the succubus with new feats, powers and traits fully compatible with Dungeons & Dragons. 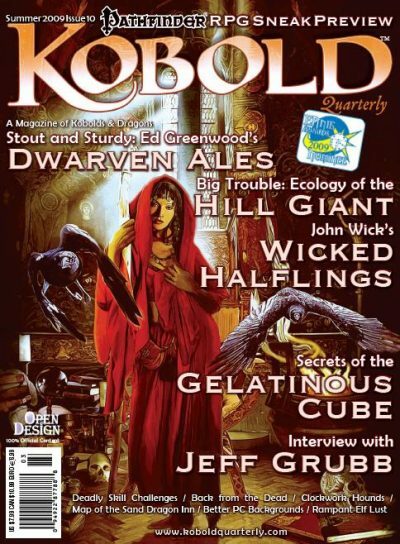 David “Zeb” Cook’s article “It’s a Mystery!” provides an antidote to generic fantasy religions using the secrets and traditions of the mystery cults that flourished in ancient times. “Clerical Conflicts” makes the life of a cleric extremely interesting with soul-ripping demands made by his or her god  dilemmas such as Disillusioned Crusader, Chosen One and even Were-Angel! 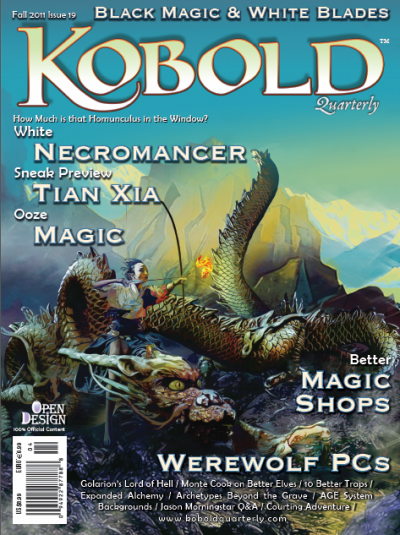 TSR and WotC alum Steve Winter explores how GMs can build a compelling monotheistic campaign setting in his “Howling Tower” column, and “Divine Archetypes” gives players a way to make angelic heroes, holy traps, and celestial Fists of Fury. 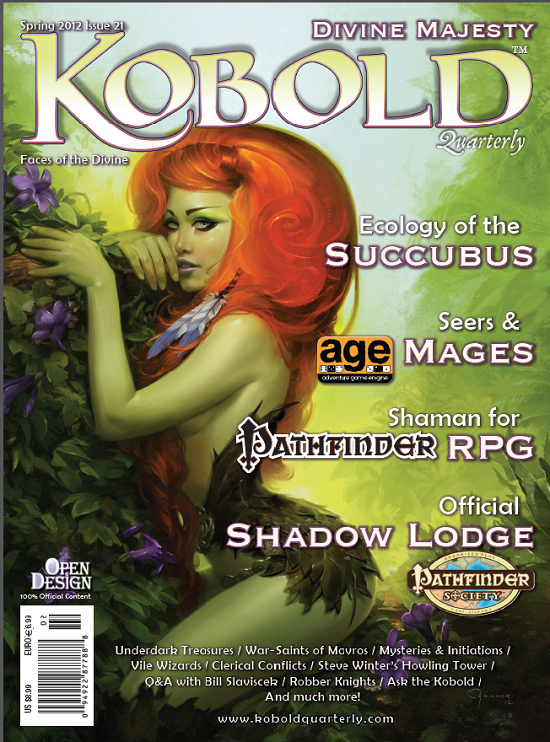 KQ #21 also features official Pathfinder Society content, robber knights and vile wizards, new Zobeck and Midgard articles, and alchemists, druids, illusions, and seers for the AGE System  with a sultry pinup cover!